Port Alberni, B.C. 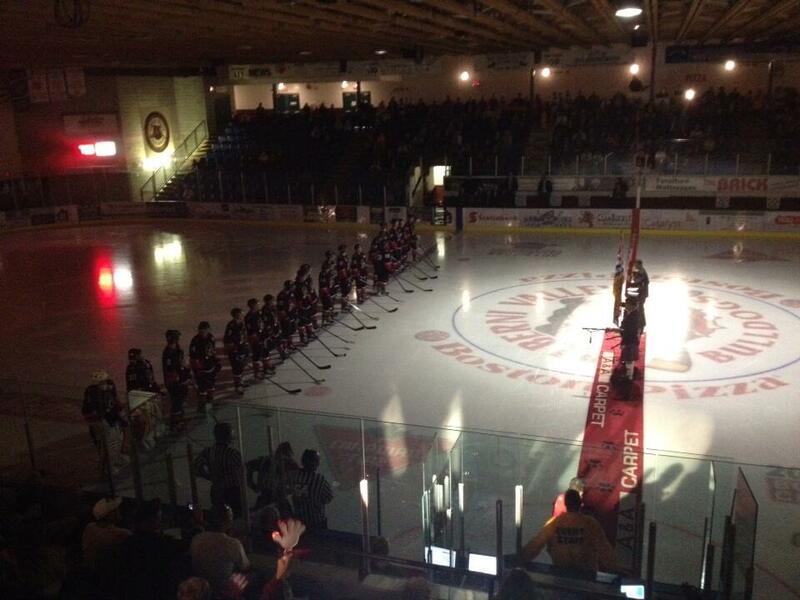 - Hammer's Bulldog Blog: Dogs host Grizzlies tonight, Super Bowl Golf tomorrow! Dogs host Grizzlies tonight, Super Bowl Golf tomorrow! After a very tough stretch that saw them play seven games in ten days and four in five days last week, this is the only game on the schedule this week for the Bulldogs (15-25-2-6, 4th Island) as they host the Victoria Grizzlies (28-13-3-3, 2nd Island) at the Dog Pound. 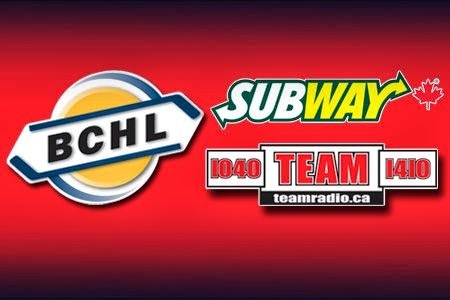 The Bulldogs were last in action Sunday afternoon where they topped the Powell River Kings 6-4 in a wild and crazy game. With that win the Bulldogs pulled even with the Capitals for 4th place on the Island. It was the first time since Day 1 of the season that the Dogs weren't in 5th.The Grizzlies were in Nanaimo last night where they lost their 4th in a row, 4-2 to the Clippers. There is a chance that the Grizzlies with be without leading scorer Myles Fitzgerald tonight (4th in league scoring) after he picked up a five minute major for slashing late in the game last night. As far as I am aware, league policies dictate that ALL Major Penalties are reviewed by the Executive Director. Take a look at the video below. An interesting call to say the least. You can't argue with how flagrant the two-handed baseball bat swing of the stick was. On the other hand, the player that takes the slash doesn't just appear to be un-injured by the slash, he doesn't seem to even notice he received it. It wasn't until the second time I watched the replay that I noticed Leo Fitzgerald deliberately away from the Clipper player just as he's going to pick it up, directly in front of the Referee. Not the most sportsmanlike move in the book, but I have to admit I had a pretty good laugh! The Dogs got some help on the out of town scoreboard as the Kings topped the Caps 5-4 in Powell River. These teams last met immediately before and immediately after Christmas, with the Grizzlies taking both games at Bear Mountain Arena by scores of 5-1 and 4-1 respectively. The teams have met just twice at the Dog Pound, with the most recent meeting going on December 14th where the Grizzlies picked up a 3-2 OT win after the Dogs had dug out of a 2-0 hole after two periods. The Bulldogs have done everything against the Grizzlies except WIN. They have lost, lost in overtime, and also tied, their Head-to-Head record is 0-3-1-1. The pregame show gets underway at 6:45, with the puck drop to follow at 7:00pm. 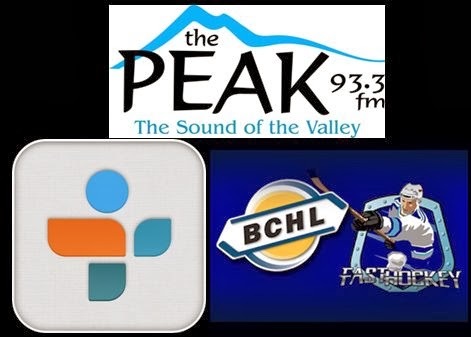 In tonight's 2nd Intermission show we will run an interview from last week's "BCHL This Week" program from Team 1410, in honour of the recent Bell Let's Talk Day. 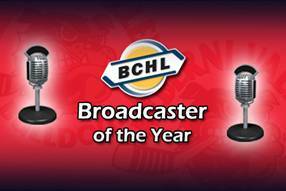 Host Jeff Patterson talks with Cowichan Valley Capitals Assistant Coach Rob DeClark. The topic isn't the action ON the ice, but the challenges that players face OFF of it. Don't forget that tomorrow is the always fun SUPER BOWL SCRAMBLE out at the Alberni Golf Club! On Sunday February 2nd. is the annual Super Bowl Scramble and party. Please register in the Pro. Shop, or you can phone 724-5422 with your 4,5, or 6 person teams or as a single. The teams can consist of all Men all Ladies or a mixed team. There will be very few rules, just a fun day. Both golfers and non golfers are welcome to join in the activities. If you prefer not to golf come out for the lunch and watch the game the big screen TV in the Clubhouse. There will be 9 holes of golf with many on course obstacles to overcome. It all begins with a shotgun start at 12 noon and the kick off at 3PM. After golf come into the lounge relax, enjoy the lunch and the game, while you sip on a beverage or two. There will be 3 or 4 meat draws, at ½ time courtesy of Rick Paul of Double R Meats. The price for this fun filled day is $30 for members and $40 for guests. This entry fee includes Golf, Lunch and lots of prizes. One final topic regarding the Men’s Club. Finally at long last we have the Club Championship sorted out. Once again congratulations to Mike Pichor on capturing the Club Championship for the second time. Mike received a nice plaque and a cheque for $200. Runner up and I believe they went to extra holes was Jim Proteau who received $150. In the Flight, the winner was Bill Barrett who received $150. Followed by runner up Livio Tedesco who got a cheque for $100. Congratulations to all the winners, sorry it took so long. See you on the second.